Utah has the Barton brothers in the starting lineup and added the Kuithe twins from Texas. 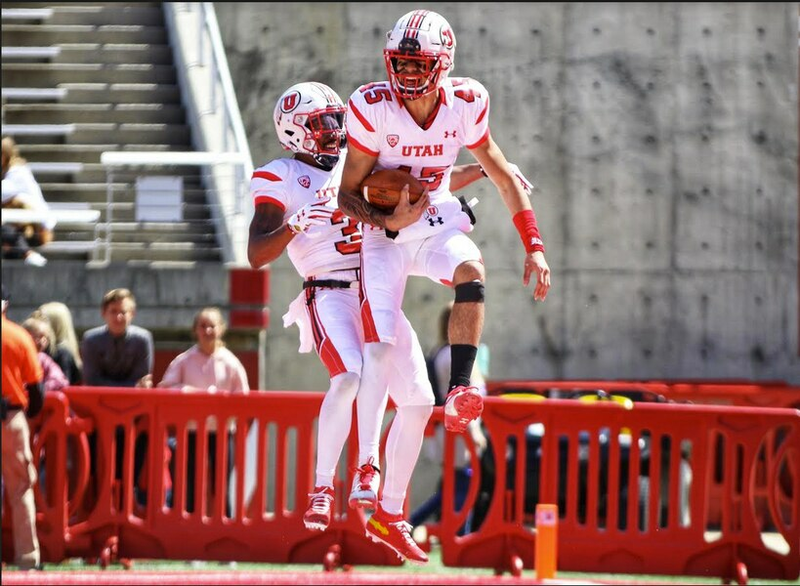 (Photo courtesy of Sarah Shebek, University of Utah) | Utah receiver Samson Nacua celebrates with teammate after scoring touchdown for the White team in Utah's Red-White spring game Saturday. The evaluation proved accurate this summer, when receiver Puka Nacua committed to USC. The only flaw of Samson Nacua’s commentary is he’s a scholarship athlete for the University of Utah — one of those schools he judged as smaller and worse than USC, applying that logic. 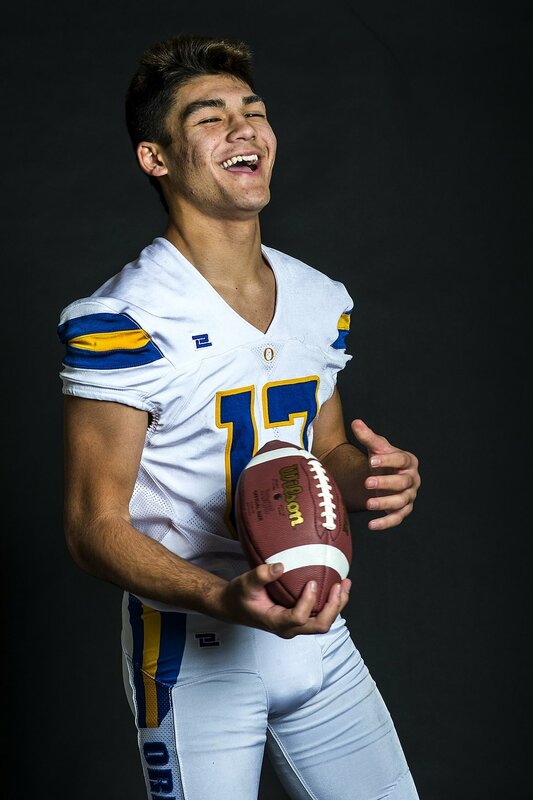 Nacua hopes Utah performs so well this season in the fight with USC for the Pac-12 South title that his brother, who caught 87 passes for 1,692 yards and 24 touchdowns as a junior, will change his mind and join him in Salt Lake City. Samson Nacua made 29 receptions for 294 yards last season as a redshirt freshman. The Utes feature the Barton brothers of Salt Lake City — Jackson is an offensive tackle, Cody is a linebacker — as seniors in the starting lineup. They’ve added the Kuithe twins, freshmen from Texas (Blake is a defensive end, Brant is a tight end). The Kuithes, who were among three sets of twins on their Cinco Ranch High School team, had planned to play together at Rice before the Owls made a coaching change. They committed to Utah on the same day in January. But the Utes can’t expect to sign everybody and their brothers. Johnny Capra, a fourth-year junior who’s competing for a starting spot, next season will be one of three family members from northern California playing as Pac-12 offensive linemen. Utah offered scholarships to Jacob Capra, who’s contending for playing time at Oregon, and Joey Capra, a high school senior who recently committed to the Ducks, switching from Arizona State. The Utes will host Oregon in November, but an on-field reunion of all three Capra brothers in 2019 could come only in the Pac-12 championship game, due to the conference’s scheduling rotation. Javelin Guidry, Utah’s nickel back, will meet his brother Elisha in October when the Utes play at UCLA. The Nacua brothers are projected to take the field in Los Angeles next season, when the Utes visit USC. Samson Nacua and his brother Kai, a star defensive back, were on opposing sides of the Utah-BYU game in 2016, when Samson was redshirting after joining the Utes from Timpview High School in Provo.